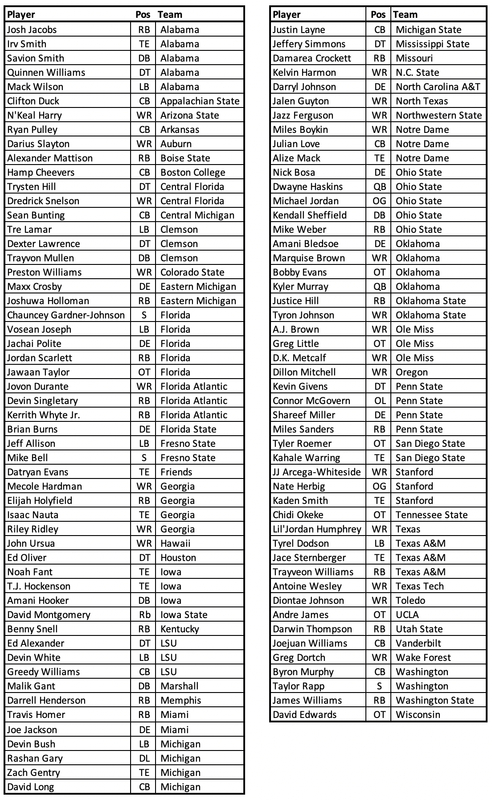 Each of the players granted special eligibility has met the league’s three-year eligibility rule and each has submitted a written application in which he renounced his remaining college football eligibility. The deadline for receiving applications was Jan. 14. Here is the full Release. 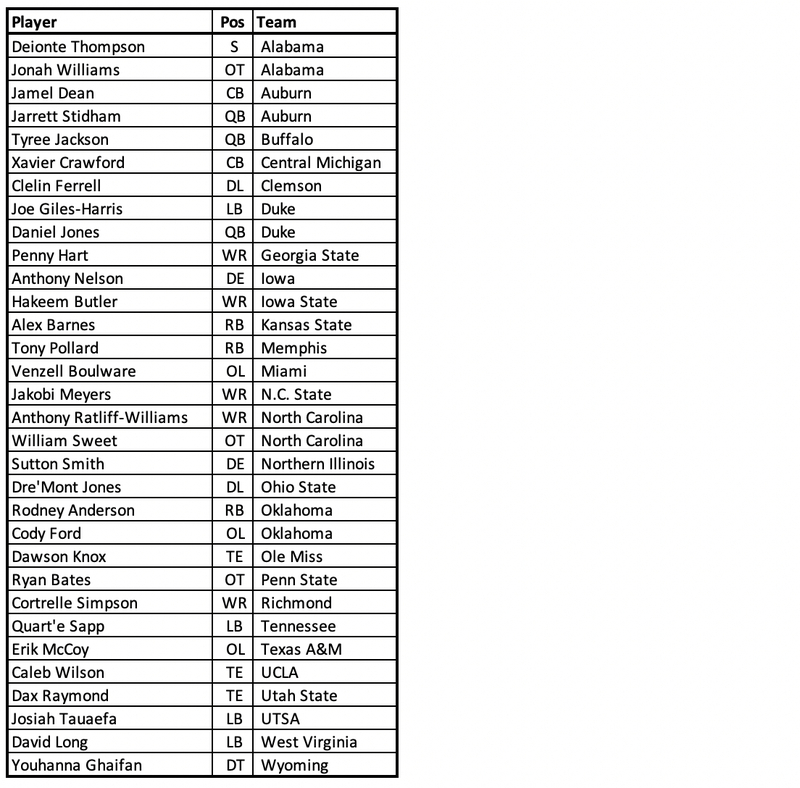 The following 32 players have in timely fashion under NFL rules officially notified the league office that they have fulfilled their degree requirements.